When the Anti Cruelty Society asked me if I’d be interested in collaborating with them on a book project, I jumped at the opportunity! Every animal that passes through the society has an interesting, often emotional story. 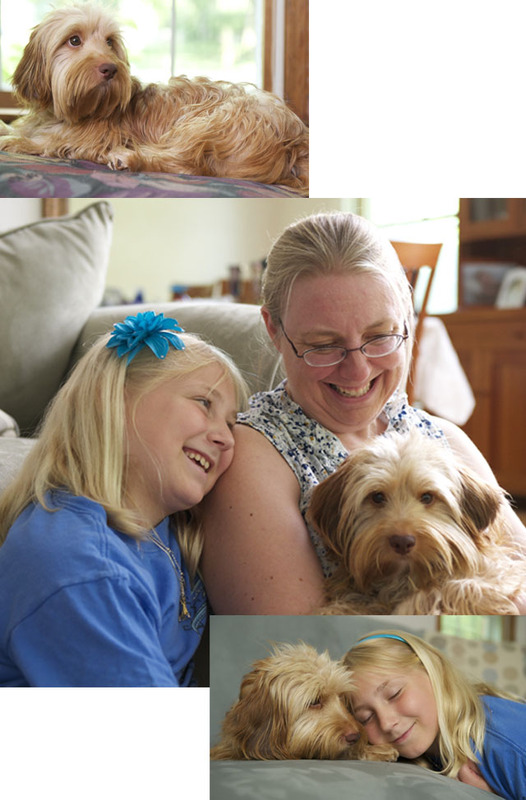 Tales range from families having to give up a pet because of lost jobs or other financial hardships, to rescues from puppy mills and other grim circumstances. 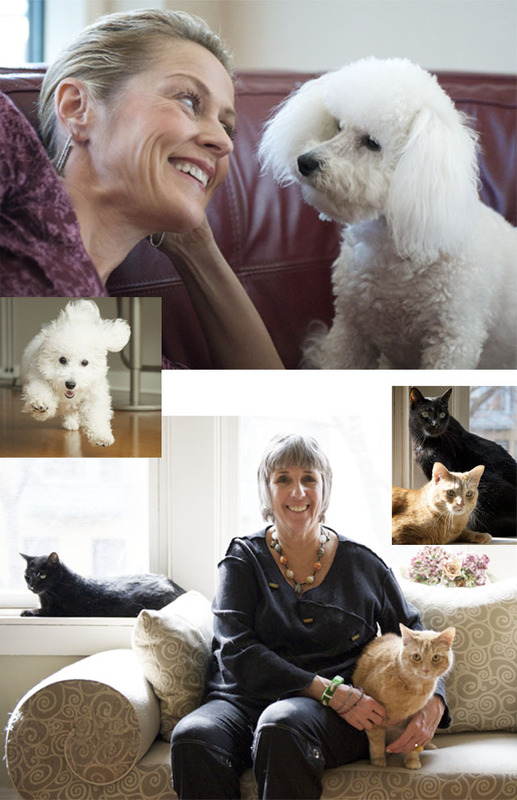 For the lucky animals that are adopted and placed in homes, the partnership is usually excellent for animals & humans alike. 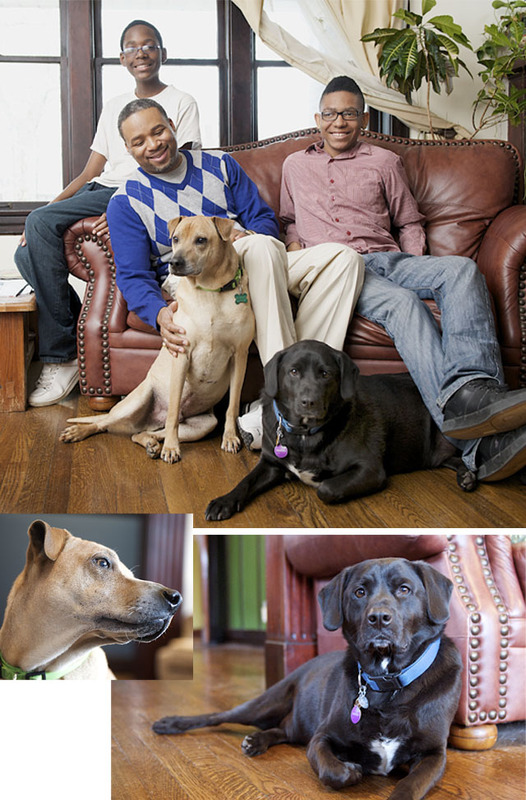 This project involves photographing these animals in their new homes in order to highlight their inspiring stories. I find this project refreshing for a number of reasons. There’s the adventure of going into someone’s home without knowing what the owner, the animal, or home will look like or what exactly to expect. Since my usual assignments are often carefully orchestrated productions, involving, crews, models, trained animals, etc., this is a radical departure for me. I enjoy the simplicity; It’s just me and a camera. Shooting on the animal’s home turf goes a long way towards insuring that it is comfortable in it’s surroundings. A word on technique. Once I arrive at the home, I spend more time talking with the owner and rolling around on the floor with the pet than I do actually taking pictures. Letting the animal sniff, paw, and generally get accustomed to me and my equipment really improves the outcome of the shoot. When it’s time to start capturing images, I’ve become just another piece of the environment, and am able to focus on the relationship between my subjects. This intimate view is the best way for me to illustrate their relationship — and share their story. I often feel like I’ve got the best job in the world. 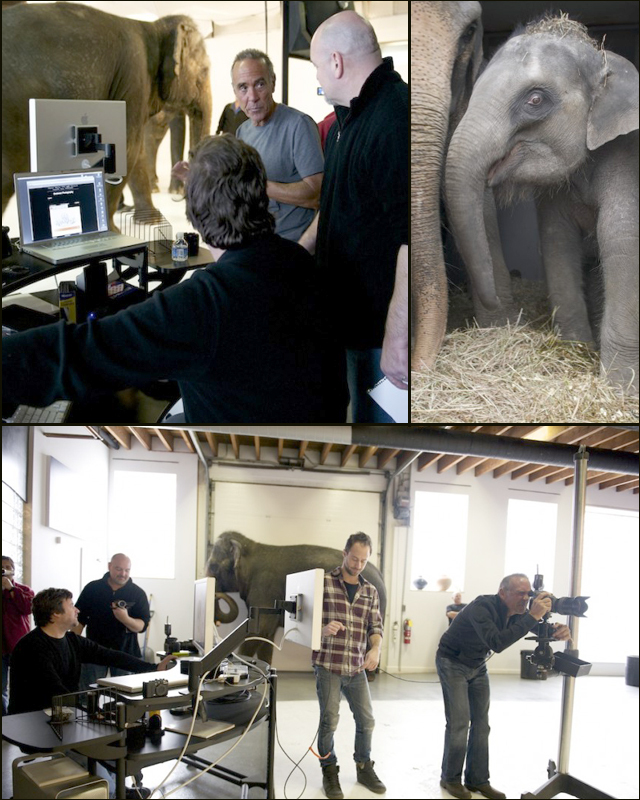 During a recent shoot for a European pharmaceutical company we brought six beautiful, female Asian elephants to my Chicago studio. 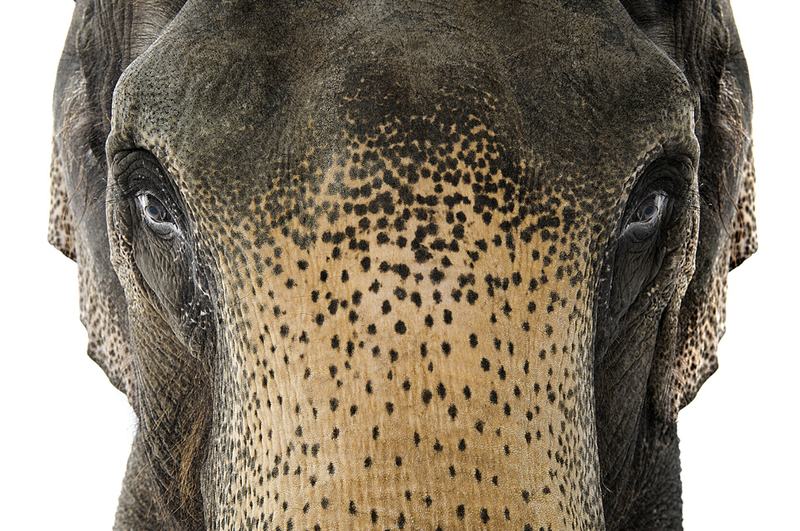 Among all the animals with which I’ve had the privilege to work, I think the elephant is my favorite. Despite their large size, these beauties could not have been gentler. As I shot each one, we kept a second elephant nearby to help make the subject more comfortable. 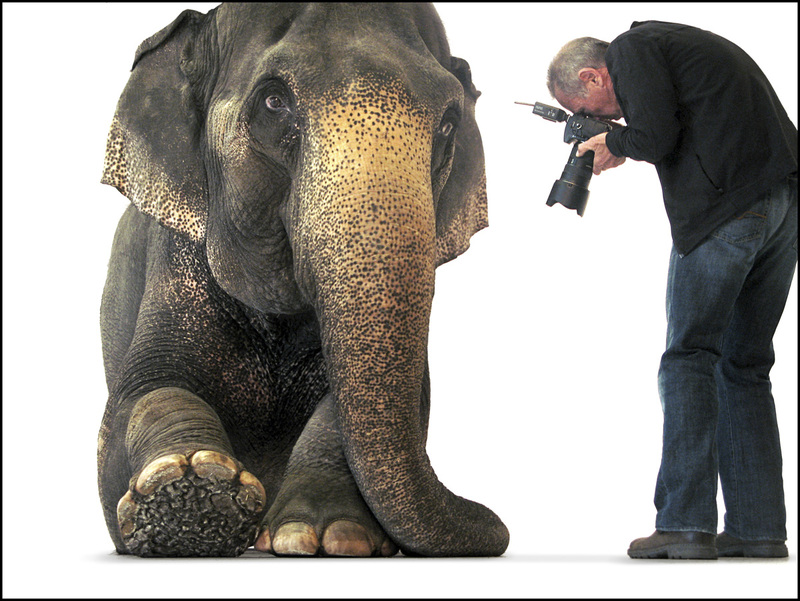 As the handler put it, “Wouldn’t you feel more relaxed in a strange environment if you had a friend with you?” The “friend” hung out behind the camera, sniffing me from head to toe with her trunk as I worked, sometimes unwittingly adjusting my camera angle along the way. Perhaps she had her own idea of the perfect shot she wanted to share with me! This is one of my favorite photos from the shoot, but I also love the behind the scenes shots that we captured. 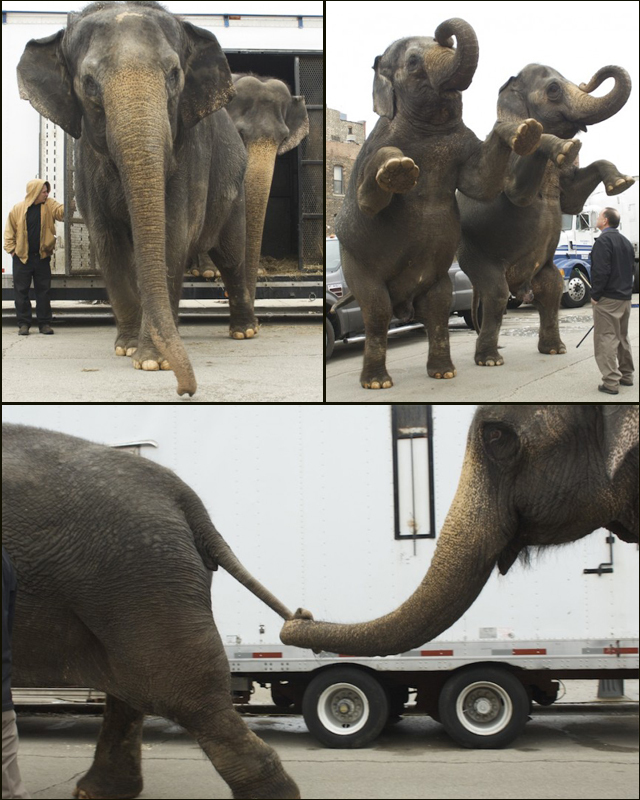 Click this link for more elephant photos from that great afternoon.